On Saturday, December 2, one of the biggest and most prominent events in the Saddle Seat discipline, the Saddle Seat World Cup Selection Trials, was held at William Woods University (WWU). Assistant Professor Sarah Track organized the event, with William Woods students acting as grooms and judge’s scribes. 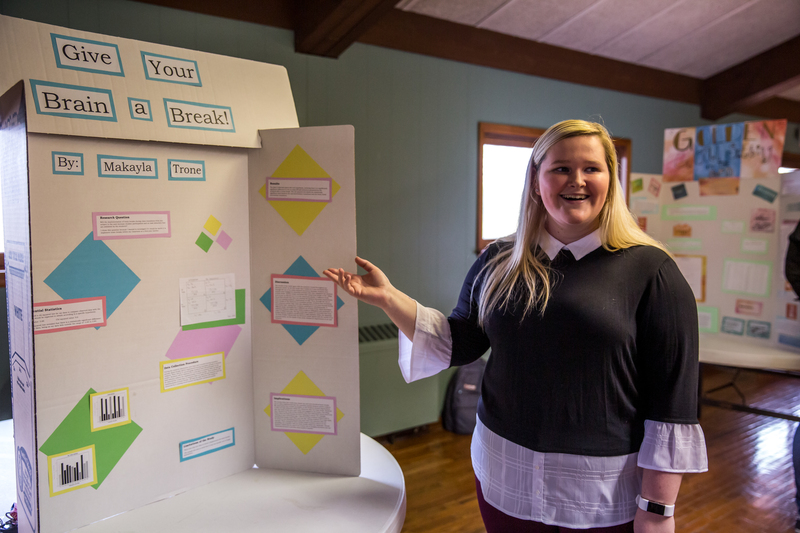 This year, Taylor Woods ‘19, qualified to try out for the team and participate in the event. Held every two years, the World Cup Selection Trials have taken place at the William Woods equestrian complex since 1996. The Saddle Seat World Cup team is considered the equivalent of the US Olympic team in the Dressage, Hunter/Jumper and Eventing disciplines and are chosen based upon horsemanship skills displayed by catch riding (rail work and pattern work on two different horses) William Woods owned horses. The riders do not see the horses they will ride until the day of the competition. Each horse and rider combination has seven minutes to warm-up and get to know each other then it is on to the show ring! Saddle Seat is one of the four seats taught at William Woods University. 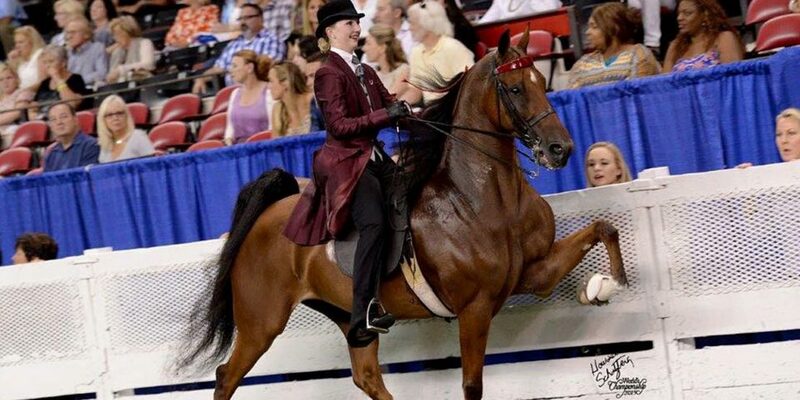 This discipline mainly uses the Saddlebred breed for their distinct gait or movement. Saddle Seat is a rail discipline, riders and their horse’s ride around the arena. Horse and rider combinations are judged based on how well the horse conforms to the breed standard in its looks and movement. The rider is also judged on their form and ability to cue the horse correctly. 3-gaited horses do the typical walk, trot and canter, while 5-gaited horses also slow gait and rack. The pattern work is unique to the World Cup and its trial. 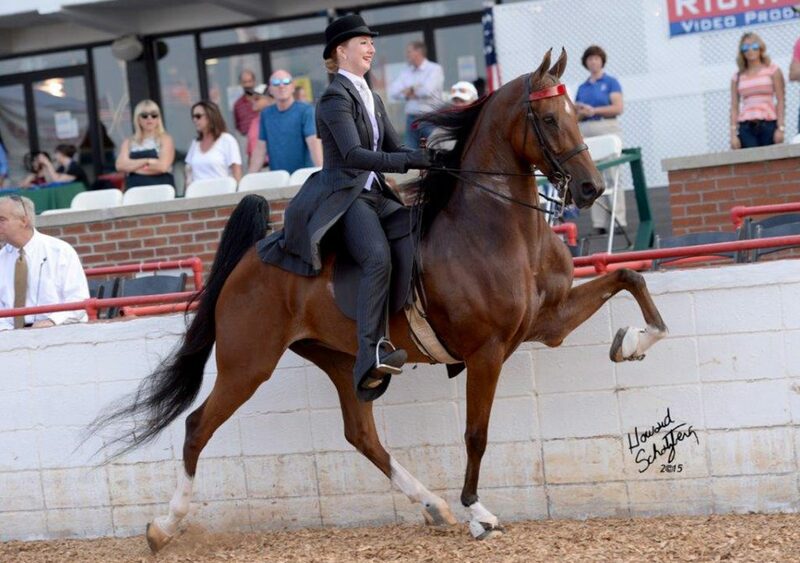 Taylor Woods was encouraged to try out when she was working in Kentucky for two summers, first at the world’s largest American Saddlebred breeding farm, Willowbank, and then at Equine Services Hospital for Dr. Scott Bennett in Simpsonville, Kentucky. When it came time to try out, Woods had support in the tryout process in both Kentucky from her summer riding instructor and WWU grad Katie Case, and at home in Oklahoma with her long time trainer Randy Cates. The first step to the World Cup Trials is submitting an application and video, which Woods filmed in Kentucky. Out of 100 applications, 20 are selected for the 3-gaited team and 12 are selected for the 5- gaited team. Out of these, only six individuals actually make it on to each team. Part of what makes the World Cup Selection Trials so special, is that the riders do not meet the horses they will be competing with until the night before the trials. “When you only get seven minutes, it’s like a whole different world,” Woods said. “It was interesting to see different people ride the horses we ride and see what struggles they had and if they were the same or different than ours,” she said of watching the 3-gaited trials. While Miss Woods did not make the team this year, she says it was a great experience and plans to try out again in 2019. She learned how to handle the excitement and nervousness of the night before the event, and how it all went away when she began competing. At that point, it was all about having fun riding and doing her best. “Everyone said I was smiling the whole time I was riding,” she said with a smile. Bailey Skinner ‘19 served as a groom for this event for the second time. Grooms are responsible for their horses for the entire event. Grooms clean stalls, groom and saddle the horses and give helpful tips to the rider about the horse. Skinner felt that having been a groom once before made her better able to help mentor new freshman and sophomore grooms and lead the way. “We let the riders know everything we know about the horses and what we think makes riding the horses most successful,” Skinner said. The student grooms had the horses cleaned up and looking sharp Friday night after the draw to meet their riders. Student grooms were then up and ready for the day at 5:30 a.m. on Saturday. “Being able to see some of the best Saddle Seat equitation riders was a really neat experience, and being able to see what your goal is to look like,” said Bryce Angelino ’21. Angelino also served as a groom at the event and enjoyed the short breaks she received to watch the talented riders. The grooms were able to pick one or two of their favorite horses to work with for the World Cup Selection Trials, and their knowledge of the horse made it easier to give tips to the rider. Skinner was a vocal groom and aided the rider to try to make the pair as successful as possible. Skinner did say that each groom has their own preference to how vocal they are when giving feedback to the rider. “In the horse world, we all know who each other are, but we don’t know each other. At events like these you really get to know everyone, including the trainers, one-on-one, which can potentially lead to job offers as well,” said Skinner, explaining why she loved the opportunity to groom. Woods also added that one of her favorite parts of the trials was meeting skilled riders and sharing the experience with them. 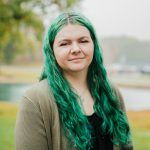 They also emphasized that being part of these events and networking with professionals in their seat is just another unique opportunity for William Woods University students.